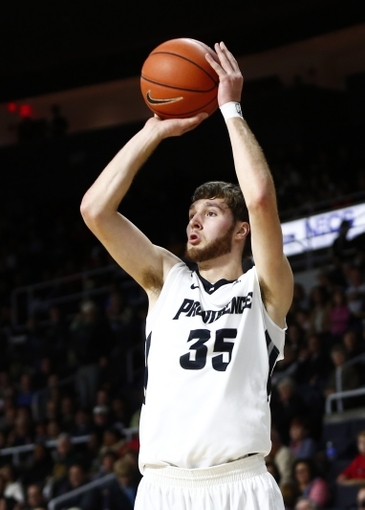 Former Providence Friar sharpshooter Ryan Fazekas announced yesterday that he is officially transferring to Valparaiso University to continue his education and basketball playing career. Fazekas will have to sit for 1 year before being eligible to play the next two seasons for the Crusaders. After taking official school visits to Fordham, Vanderbilt, and Valpo, Fazekas decided to go back home to his roots with his decision to play for Valpo and compete in the Horizon League. Ryan played his high school ball at Marquette Catholic, located in Michigan City, Indiana and whose family lives in Chesterton, Indiana. Marquette Catholic is about 40 minutes from Valpo and Chesterton is just over 20 minutes from the Crusaders campus. In the end, that was one of the main deciding factors for Fazekas’ final decision. Fazekas joins a Crusaders team that went 24-9 last year, winning the Horizon League regular season title before falling to Illinois in the first round of the NIT Tournament under first year Head Coach Matt Lottich. Lottich was an Assistant Coach at Valpo under Bryce Drew since 2013 and seems to have picked up right were Drew left off. Valpo has won the regular season title in their conference 5 of the last 6 years and have played in the postseason in those 5 regular season title years as well (NIT in 2012, 2016, & 2017; NCAA in 2013 and 2015). Looking at the current construction of the Valpo roster, they are losing their top scorer and rebounder Alec Peters as he looks to catch on at the end of the upcoming NBA Draft. One of the latest mock drafts I came across had him going to the Spurs with the second to last pick. I’m sure the sight of a player like Peters developing at Valpo and getting looks by NBA teams played a partial factor in the decision making process for Fazekas when comparing schools. Alec Peters (23.0 ppg) – graduating this Spring. Shane Hammink (15.1 ppg) – graduating this Spring. Tevonn Walker (11.9 ppg) – will be a Senior this year. Jubril Adekoya (8.6 ppg) – graduating this Spring. Max Joseph (5.7 ppg) – will be a Senior this year. Lexus Williams (5.2 ppg) – will be a Senior this year. Looking at the squad, there is definitely going to be a lot of playing time and scoring opportunities to go around once Fazekas becomes eligible to player after this upcoming season. The top 6 scorers from last season will have graduated when Ryan will be eligible to play. As his playing time was diminishing as the season progressed this past year for Providence, Fazekas saw his opportunities for playing time in his upperclassmen years looking a little thinner and therefore took an opportunity where he can take a year to develop before giving a chance to excel at a school near home. Ryan was always a positive factor for the Friars and has been nothing but courteous and gracious through the transfer process and everyone from the players to the coaches to the students to the media have all have nothing but glowing things to say about Ryan since his decision. Fazekas also posted the following parting words on his Instagram account. I, for one, am wishing nothing but the best for the kid in the Horizon League and hope that he excels at Valpo. I’m sure that Friar fans will be following the rest of his collegiate career as it unfolds. Once A Friar, Always A Friar.